I don’t think any of the artists and makers taking part in DAW 2012 knew quite what to expect for the Jubilee Weekend, would it be crazy busy or as quiet as one of those tumbleweed scenes in a Western? Judging by the signage going up all over Dorset everyone and their dog (there is terrier and lurcher racing event going on just down the road from me,) is holding an event of some kind. On top of that there is this woman called Elizabeth having some kind of do up in town involving boats, planes, horses and some popular beat combos. People are even going to stay home and watch it on telly apparently! I sense this could be a real rival us here at venue 36. 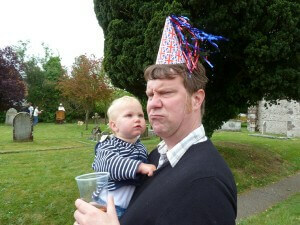 I’m not much of a Royalist but even I’ve been caught up in the good vibes and roped into helping with the Jubilee celebrations in my village – over two days. Sunday is the street party with a bar, and Monday is, well another party with games, events, BBQ and even fireworks, with a bar of course. Multiply that by every village and town neighborhood and that’s a busy weekend by anybody’s standard. Should be fun though, particularly for the kids. 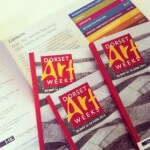 So who will turn up to the 350 open studios taking part in Dorset Art Weeks this weekend – staunch republicans only? As always it’s never quite that clear, but I did have a sense that it might be quiet and sure enough we only got 21 through on the Saturday. I’d expect 40 to 60 on a normal DAW weekend day, there was no serious interest in the furniture either. John was show sitting on Sunday and Monday while I was busy waving union flags, eating unhealthy food and trying all the different beers (for scientific purposes). 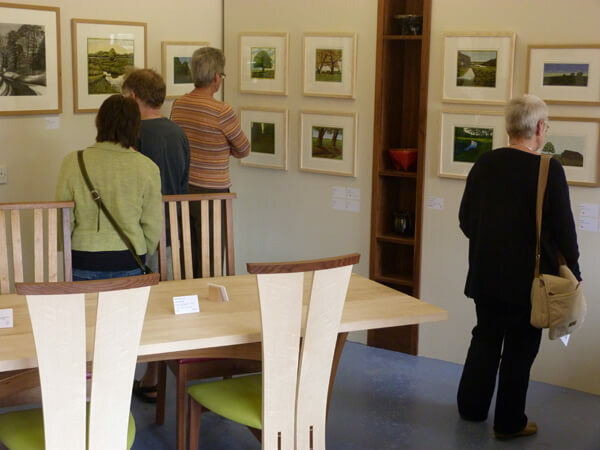 Of course I had picked the slow days to be in over the weekend, Sunday was much better than Saturday and Monday was really good, John even had serious discussions about a couple of commissions – another criteria we measure the success of any event on. I was back in on the Tuesday which was ok but not spectacular. There is a rhythm on a good day – people coming and going, when you never really get a chance to eat lunch or finish a cup of tea because you are always having conversations. Before you know it it’s 5pm, doors close and you feel completely drained, in a good way. When you do this event you can’t help but start to think about what brings people out to your venue, and perhaps more importantly what keeps them away. So too hot first week, too Jubilee over the long weekend and judging by the forecast possibly too wet over the final week! It’s not gonna be that bad, surely. It’s June!